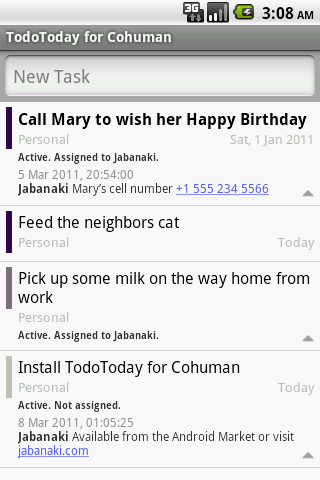 TodoToday for Cohuman is the latest addition of the TodoToday family of apps. TodoToday for Cohuman is Ad supported and provides the ability to view and add tasks. TodoToday Pro for Cohuman is a paid version of the app which removes the Ad support and provides additional features to edit tasks and add comments to a tasks.